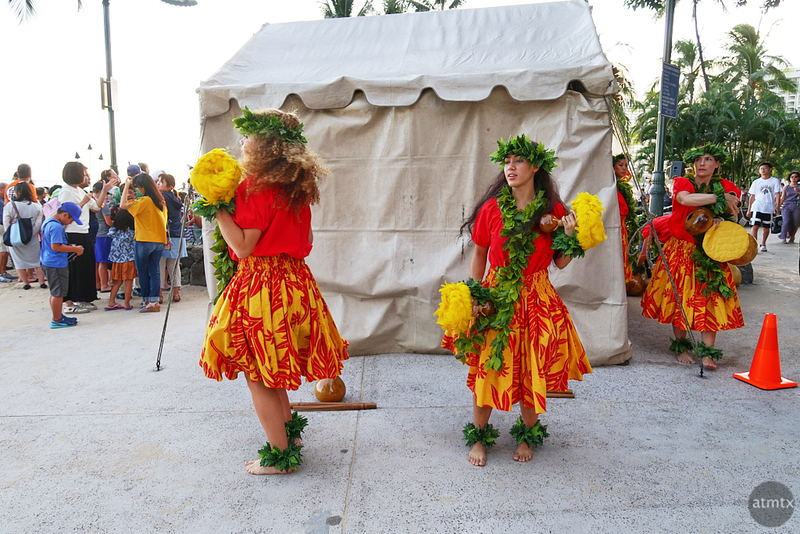 I’ve featured photos from my favorite hula show on Kuhio Beach, a number of times, over the years. And, as fun as these shows are, I really like to shoot candids from behind the scenes. As I walked around pre-show, I caught these young women practicing. They were behind the changing tent, out of view from the audience. In the past years, I would diligently get there early to find the optimal place for photography. Those requirements are are usually more challenging than being a mere spectator. But this year, I was a lot more casual. I knew what to expect and I was content to find an out-of-the-way place. Instead, I walked around for candids until the very last-minute. While I had my Olympus with me, I used the smaller and even less imposing Canon G7X Mark II, a compact camera. There is a notion of the optimal camera for the job. A smaller camera seemed less intrusive during their behind the scenes practicing. Very colorful and vivid pictures. Thank you, Sadje. The mostly white background really makes the dancers pop.